Health and fitness tips can be some what confusing and overwhelming. I know I struggle with what to follow and the internet can often contradict itself. So, I usually try to follow a program/routine by someone who is living by the health and fitness tips that they promote. 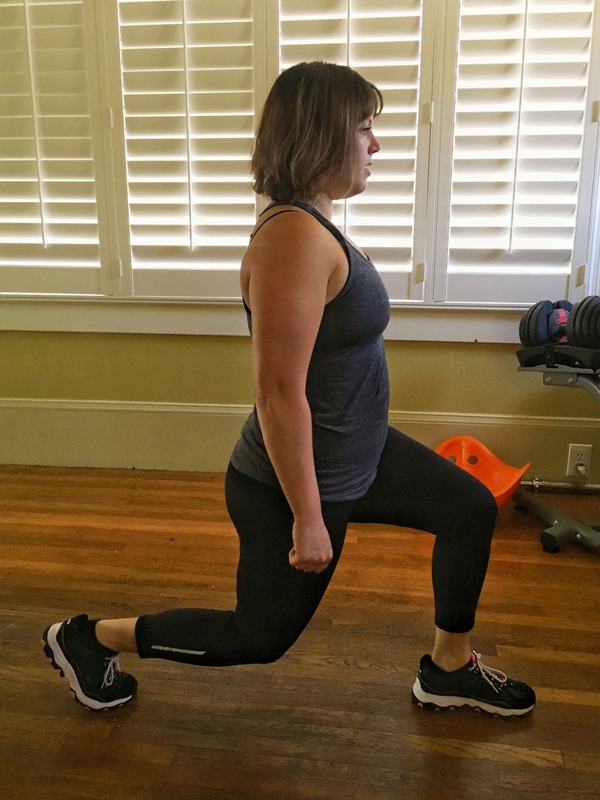 For our #trysomethingnewsundays I met with Kimberley Messer, a Fitness Coach and Instructor for the San Leandro/San Lorenzo No Excuse Mom’s (N.E.M) Group. Kimberley follows the health and fitness programs from Team Beachbody. I joined my local N.E.M Group last January. The Group is dedicated to providing free workouts to moms and they allow you to bring your children to the workout. The N.E.M group I attend usually meets at parks, so the kids play while I work out. I was inspired by Kimberley’s love of fitness and healthy lifestyle. She volunteers as a No Excuse Moms Instructor two times a week. The group has allowed me to meet amazing supportive moms in the area and has encouraged me to workout regularly and improve my eating. After having my kids, I like many others, struggle with eating healthy and working out daily. I often feel like I don’t have the time to focus on my health. Meeting with Kimberley and learning about her journey and her routine was very encouraging. Additionally, Kimberley gave me some background about how she got into fitness and gave me some tips on how to live a healthier lifestyle. I had an amazing time learning about meal prep, daily water intake, and a 30-minute workout that I can do at home on the days that we do not have an N.E.M workout class. I just joined Maria Kang’s N.E.M Pot Challenge, a motivational challenge to encourage a healthy lifestyle and weight loss for 12 weeks prior to the holiday season. So, I’m looking forward to putting this health and fitness tips to the test during this challenge. Here is a little more about Kimberley Messer. Kimberley is a Mom of 2 beautiful little girls. She leads the No Excuse Mom’s group and helps others find personal balance at home with easy to follow Fitness programs and daily nutrition plans. You can follow her journey on her Healthy Fitness with Kim page. I asked Kimberley a couple questions about being a Fitness Coach. After my 2nd daughter was born I struggled to lose the baby weight and eat balanced. I joined an accountability group with Beachbody and also started attending our local No Excuse Mom (N.E.M.) workouts. The N.E.M. instructor was very inspiring. 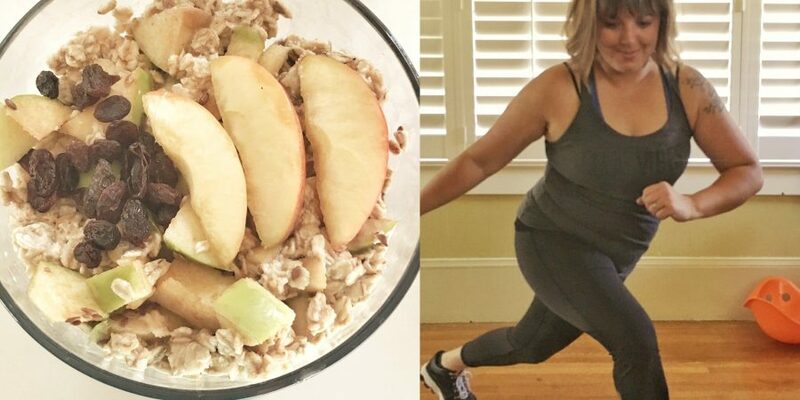 I fell in love with fitness and eating healthier because I found that it helped relieve my anxiety and stress from being a mom and I was starting to feel comfortable in my own skin again. Having specific goals for my health. I want to fit into a pair of clothing or saying that I want to workout every day for 30 days straight keeps me motivated. Also, being accountable to the N.E.M group and my Beach Body at home group helps me stay focused on my goals. Why do you think people struggle with working out regularly? And how do you stay motivated? I think people struggle with thinking they don’t have the time when really you just need 30 minutes a day. I also think that people don’t know where to start when it comes to a workout routine. Having a coach or accountability partner(s) helps people to not give up and stick to a routine. How did you get involved with the No Excuse Mom group? I started attending the San Leandro/San Lorenzo N.E.M group after trying to lose weight after my 2nd daughter. I took an interest in learning different workout routines and leading the class. When are current instructor could no longer teach the class, I stepped up and took over. Please note, when starting ANY new diet or exercise routine, you should always first get advice from a doctor. The below are recommendations and ideas only. During my time with Kimberley, she walked me through how she does meal prep. She uses the Beach Body container system for tracking how much food she should eat from each food group and the recommended daily portions. 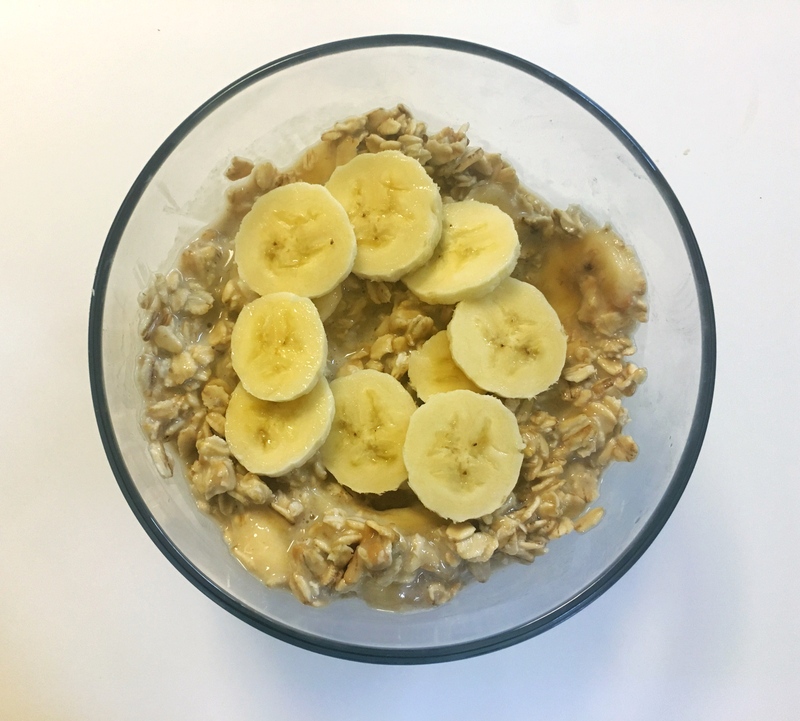 Kimberley showed me how to make 3 different overnight oats recipes that can be eaten for breakfast or any meal. She showed me how to make Peach Cobbler, Banana Peanut Butter, and Apple Pie Overnight Oats. The recipes are dairy free and high in fiber. The night before combine all ingredients in a mason jar or container. Before eating, mix all ingredients, eat and enjoy! This dish can be eaten cold or warm. For warm, microwave for about 1 minute. 1 tablespoon of flaxseeds or chia seed. I know, we constantly hear and feel like we are not drinking enough water every day. Below is the formula that Kimberley uses for her water intake. It is based on the Beachbody recommendation that you can find here. She takes her weight divided by 2 to determine the number of ounces of water she should drink every day. If you weigh 180 pounds you should be drinking 90 ounces of water every day. 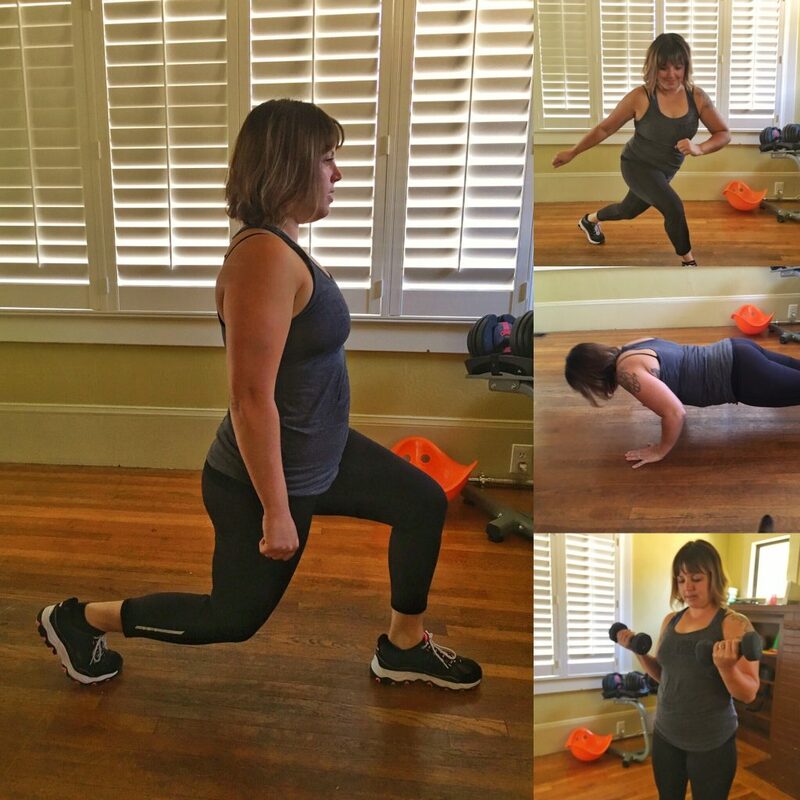 Kimberley walked me through a 30-minute workout routine that anyone can do at home. Weights are optional. Below is a video of Kimberley showing me all the exercise moves that are outlined below. Kimberley works out 6 days a week and rests on Sundays. Please note, Kimberley has found it important to mix up her routine daily to include cardio, upper body, lower body, yoga, pilates etc. The workout below gives you a little bit of all the routines to incorporate into a single workout. To warm up do each move for 20 seconds and then repeat it. After your warm up, you move into the full workout which is comprised of 3 sections: lower body, cardio, and upper body. Do each move for 1 minute then repeat it, the workout can be done with or without weights. Do each move for 30 seconds. As I begin to focus on my own health I will be following the health and fitness tips that Kimberley outlined above. I’m now encouraged to have a plan and follow it. My goal is to focus on meal preps, eat healthy food, drink enough water, and have a daily workout routine. I will also be sharing my stories and goals with others so that I can be held accountable. Are you ready to focus on your health? 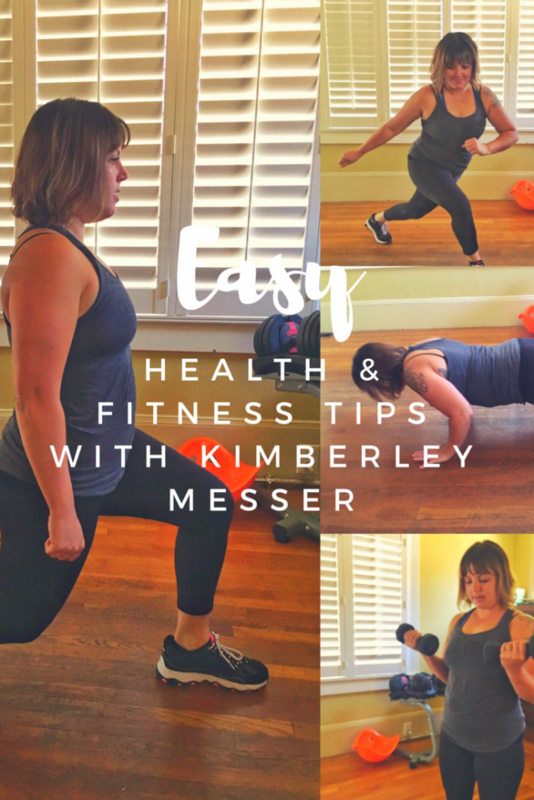 Have you tried any of the health and fitness tips outlined by Kimberley Messer above? For more healthy recipes check out my chia seed pudding and oatmeal “cookie” recipes. Tha k you for sharing these recipes! I’ve been looking for something healthier to eat in the mornings! I think, indeed, the motivation and making it a routine is the hardest part… especially for people like me who travel constantly and don’t have access to weights or gyms. Is the workout really as effective if there are no weights, e.g., for the arms? (I have what a friend of mine calls the “cappuccino arms” haha basically shaky when waving). I love your determination. This is what will get you to your goal. Great info! I struggle to make time to exercise. When I get off work, I really just want to take a nap. I know working out would probably also help with that feeling! 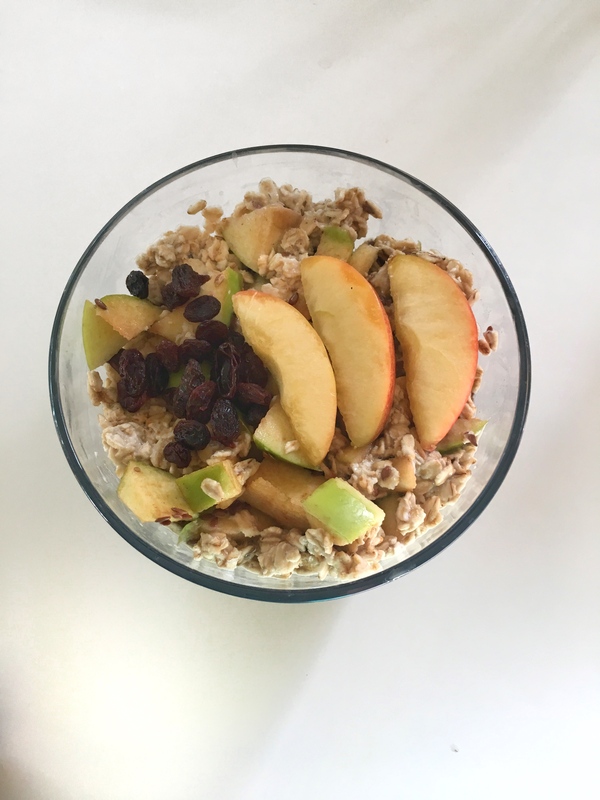 I love the recipes with the overnight oats. Those look so tasty and easy to make. 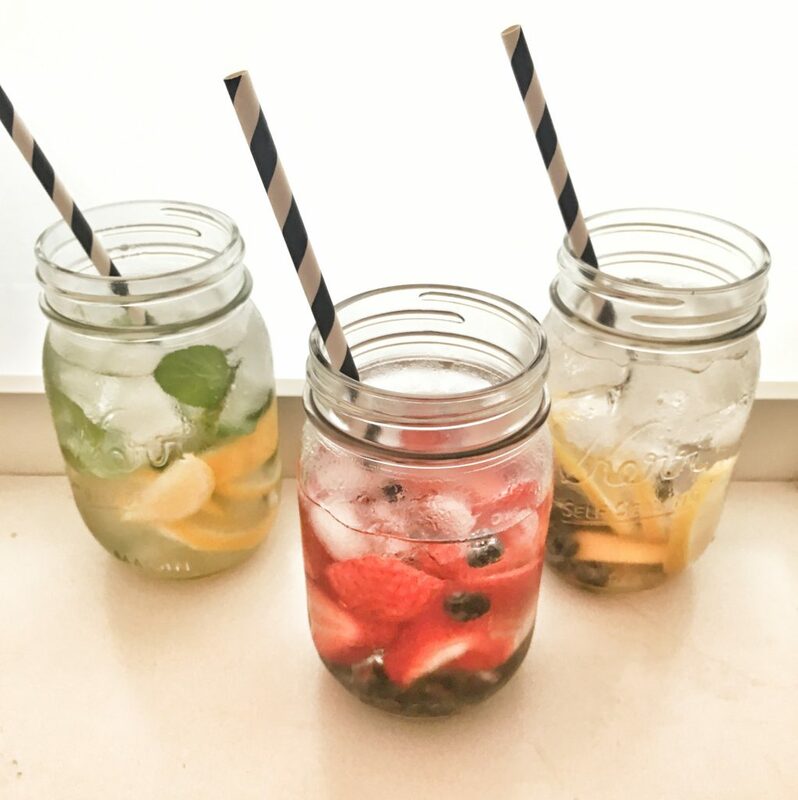 I also would like to try those fruit infused waters! 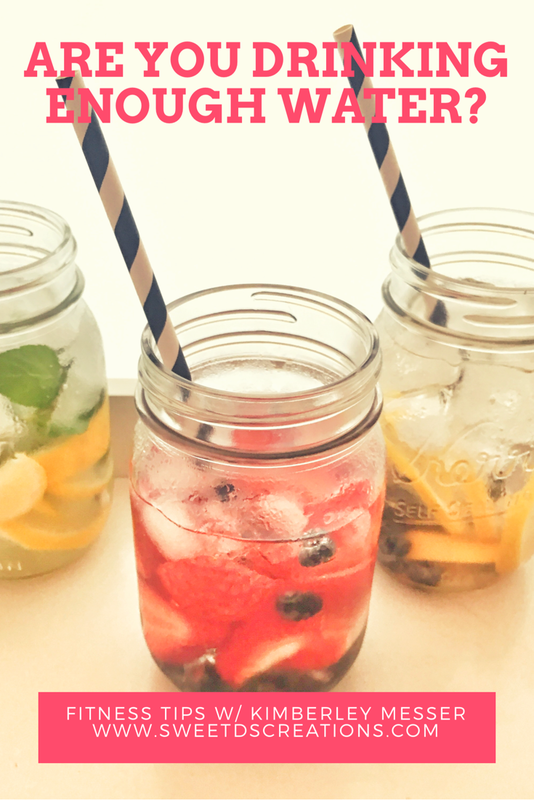 Those look so refreshing! Thanks for the tips and inspiration! These are all great tips! 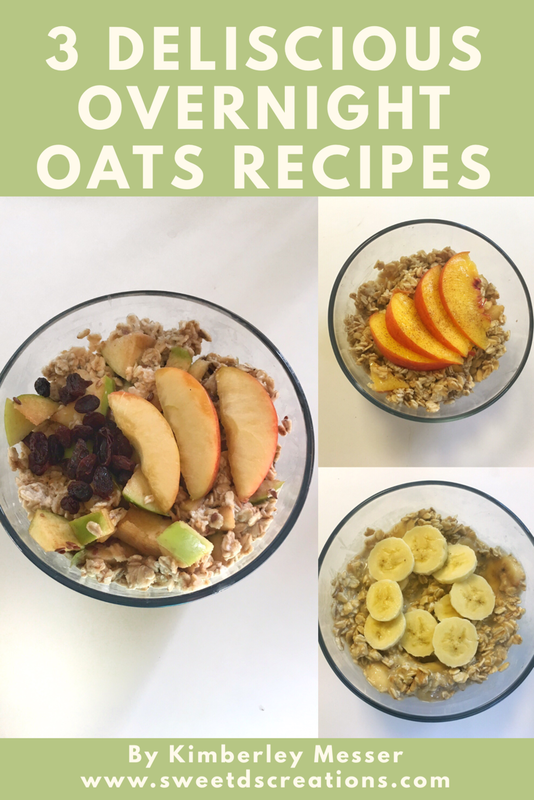 And I love the options for oats – we make them a lot and are always looking for new combinations to try. I feel a little inspired to get back on a regular workout routine now! This is great info! I need to get back into a healthy routine too! Wow! Lots of work went into this post. A workout in and of itself! I love that there is a group for moms to workout free AND take your children along. If that doesn’t give you some motivation, I don’t know what would. I wish we had that around where I live. Thanks for this post. It’s packed full of awesome information and is really motivational! What a cool group! I’ve never heard of NEM before. Thanks for the workout and recipes! These recipes sound so delicious! 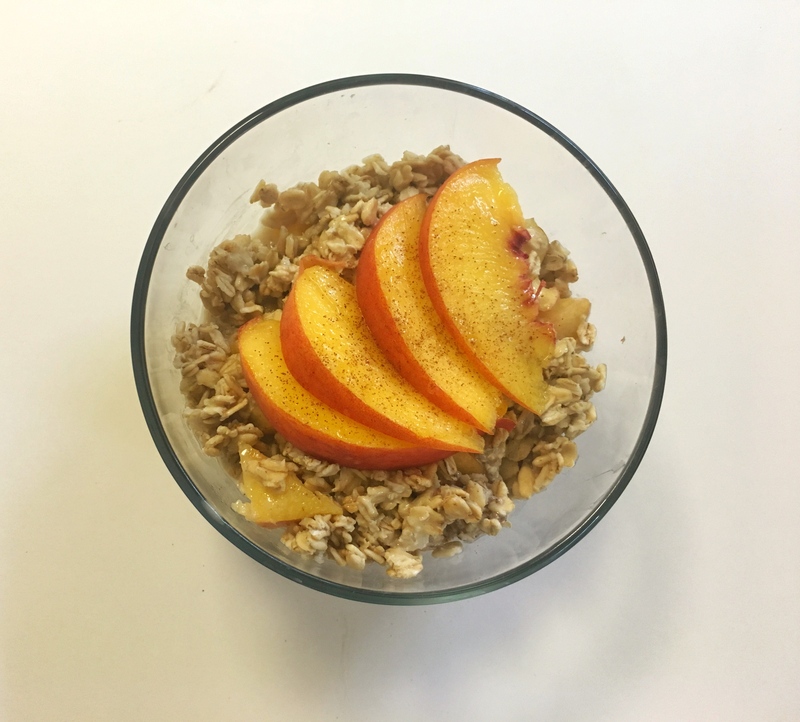 I’ve been in such a slump lately with breakfast for my kids, and I think they will love these oatmeal bowls. Thanks for the great workout too! I love something simple like this. So inspiring!!! Wish I had the courage to start such a group in my town.